Judging by the way Utah's basketball team played in November and December, a 5-4 record in the Pac-12 in early February is acceptable. The problem is that the Utes' position on the last day of January suggested something much better was available to them at the halfway point of the Pac-12 schedule. Utah stood 5-2, in solo second place in the conference. 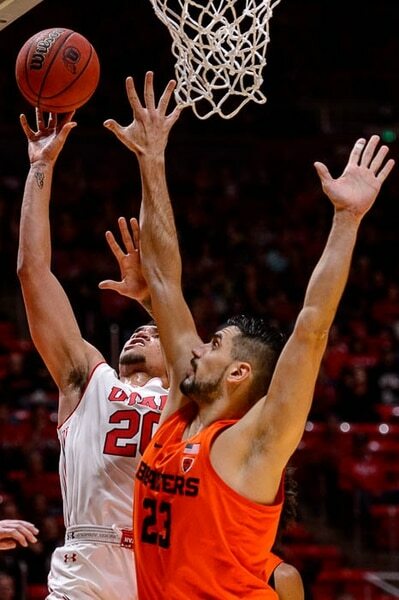 And the Utes held a 14-point lead over Oregon in the first half Thursday, before crumbling with turnovers and other lapses in home losses to the Ducks (78-72) and Oregon State (81-72). “If we take care of the ball against Oregon, I think it’s a different weekend,” Ute coach Larry Krystkowiak said after Saturday’s game vs. OSU. Oregon then made Thursday’s outcome look worse, losing by 22 points at Colorado. Utah (11-10, 5-4) fell into a three-way tie for fifth in the Pac-12, with a tougher schedule in the second half of conference play. 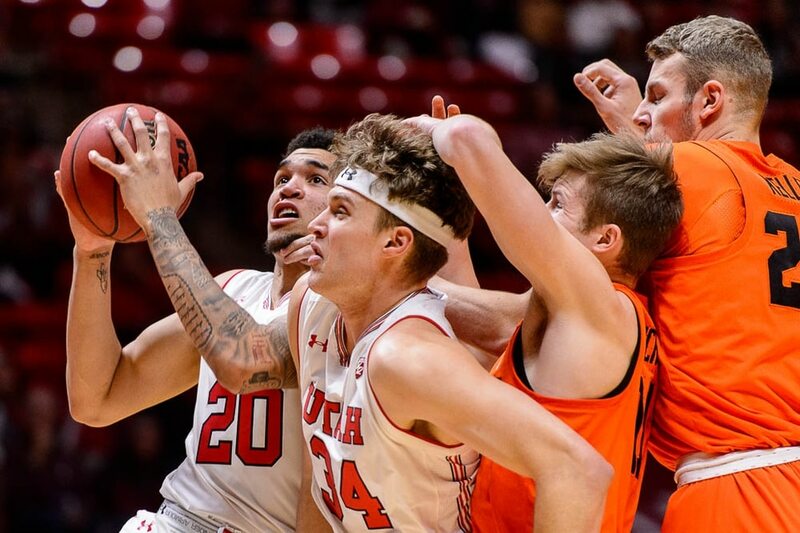 The Utes have only two games remaining against teams below them in the standings, both on the road — and Washington State and Colorado presumably will have the star players who missed their teams' visits to the Huntsman Center in January. The Utes' downturn could turn into a genuine tailspin, considering their next five opponents: USC and UCLA away, Arizona and Arizona State at home, and Washington away. The Utes would have to do something extraordinary to earn a top-four seed in the Pac-12 tournament. ESPN’s Basketball Power Index projects an eighth-place finish for Utah, with 8.2 wins in the 18-game league schedule. • Krystkowiak’s advocates say his teams always improve during the season. The Utes will have to prove that theory just to finish .500 or better in the Pac-12 this year. The stigma of a losing record in a downtrodden conference with only two projected NCAA Tournament teams would create a long offseason for the program and embolden Krystkowiak’s detractors. • Other than Sedrick Barefield’s fouling out in an overtime loss at Arizona, foul trouble rarely has affected Utah this season. It was a problem in these two losses, though. Timmy Allen and Donnie Tillman each went out with two first-half fouls against Oregon, after Tillman hit three 3-pointers. Jayce Johnson played only 5:15 of the first half vs. OSU and had six rebounds, before a questionable call sent him to the bench. • Whenever the Utes win, they have at least three double-figures scorers. In losses, they usually lack a third contributor. Tillman didn’t do much against OSU and Parker Van Dyke went 0 for 5 from 3-point range until the last seven seconds. Allen. 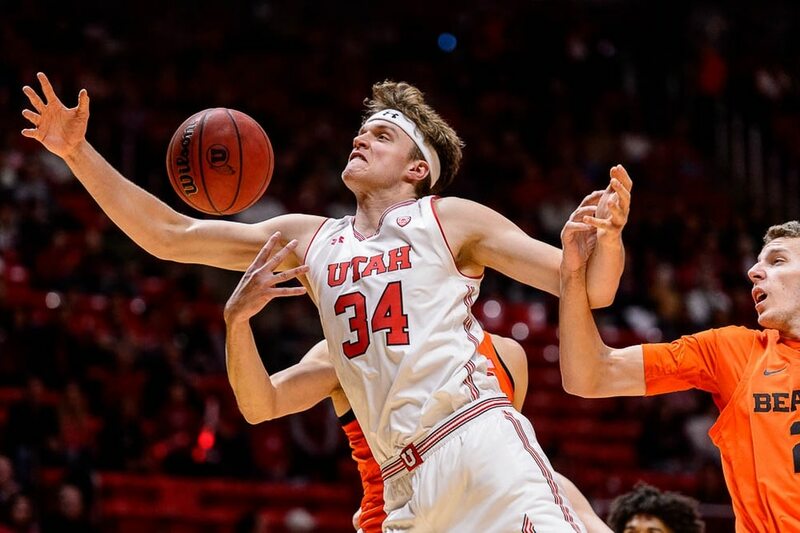 A case could be made for the freshman forward as Utah’s best all-around player. He totaled 37 points and 10 rebounds in two games. Allen played all but 91 seconds Saturday; that’s how vital he has become. What’s remarkable — and alarming, in one sense — is how far Allen has advanced beyond the other freshmen who are rotation players, Both Gach and Riley Battin. Allen’s drive and impossible flip that resulted in a 3-point play vs. OSU. He pulled the Utes to within six points with 13:45 left, after they had trailed by 15 early in the second half. The trouble was the Beavers' Tres Tinkle answered at the other end, as he would do twice more to stop Utah rallies during his 31-point day. Utah will have two games each against USC and UCLA in the second half of the Pac-12 season, starting Wednesday against the Trojans (13-9, 6-3). USC forward Nick Rakocevic posted 25 points and 13 rebounds in a 93-84 win at Washington State and may have been the Pac-12′s best player in the first half of league play.